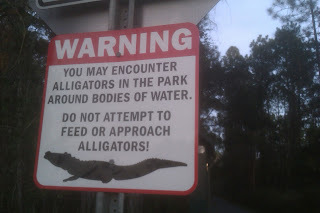 During my runs I pass the following warning sign. These warning signs don't lie. Evidence? 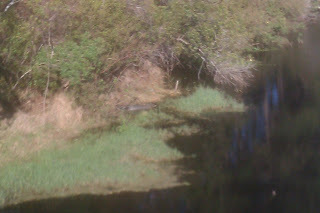 This past week I encountered one of those alligators. This is Florida.